Watch the 1917 Ballet "Parade": Created by Erik Satie, Pablo Picasso & Jean Cocteau, It Provoked a Riot and Inspired the Word "Surrealism" | Open Culture Watch the 1917 Ballet "Parade": Created by Erik Satie, Pablo Picasso & Jean Cocteau, It Provoked a Riot and Inspired the Word "Surrealism"
In 1917, a handful of Europe’s leading avant-garde artists collaborated on a project that it’s hard to believe actually exists. Conceived “in the fertile, creative mind of Jean Cocteau,” writes Museworthy, the ballet Parade combined the talents of Cocteau, Erik Satie, Pablo Picasso, and Sergei Diaghilev’s dance company the Ballets Russes in a cubist slice of dreamlike life. 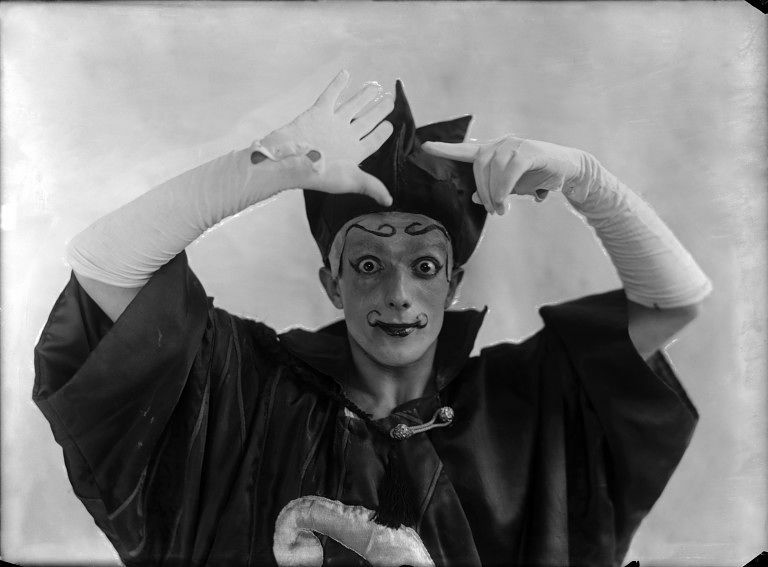 Its brings popular entertainments into the high art of ballet, something simply not done at the time, and features a very early use of sound effects in the score, added by Cocteau, to Satie’s annoyance. 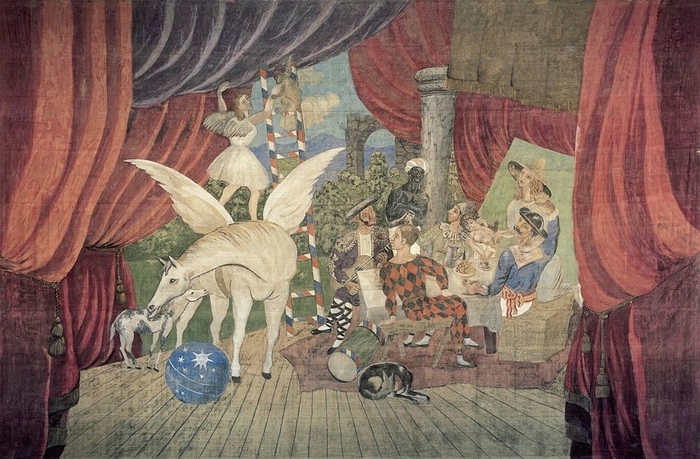 Parade was Satie’s first ballet and the first (but not the only) time he would work with Picasso. But there was something especially infuriating about this piece for audiences. (You can see an excerpt from a recent production at the top, and a low quality video of a longer performance above.) The premiere provoked an even bigger riot than Stravinsky’s The Rite of Spring had four years earlier. It’s said that Erik Satie was slapped in the face by an angry attendee. “Critics weren’t much kinder than the masses,” Museworthy adds. After one scathing review, Satie sent the critic angry postcards calling him a “blockhead,” “cretin,” and an “arse.” He was convicted of libel but managed to evade a prison sentence. Picasso, on the other hand, “came out of the Parade debacle quite well” and would marry one of the dancers, Olga Khokhlova the following year. His highly-regarded design and costuming partly inspired the poet Guillaume Apollinaire to coin in his program notes the word “surrealism” before Surrealism became an artistic phenomenon in Paris. As such, Parade should maybe be required viewing for every student of Surrealist art, dance, film, etc. from Dali to David Lynch. Unbelievable that this article omits Léonide Massine, whose brilliant choreography made rhe whole piece magical.